Welcome to Digital History Methods (History and New Media HIST 677-477). This course explores the current and potential impact of digital media on the theory and practice of history. It also counts as a tool of research course, which means that it will provide you with knowledge of “standard tools of research/analysis.” In this course we are going to explore the impact digital technologies on the historian’s craft. The notion of the historian’s craft here is intentionally expansive. Digital tools are effecting nearly every aspect of historical work, including but not limited to; collecting, organizing, presenting and sources; analyzing and interpreting sources; modes of scholarly and broader public communications; techniques for teaching. As a methods course, our focus is entirely about the how of history not the what of history. We will focus on how digital tools and digital sources are affecting historical research and the emerging possibilities for new forms of scholarship, public projects and programs. For the former, we will explore new analytic methods (tools for text analysis and data visualization) along with work on issues related to interpreting born digital and digitized primary sources. For the latter, we will explore a range of digital media history resources, including practical work on project management and design. We will read a range of works on designing, interpreting and understanding digital media. Beyond course readings we will also critically engage a range of digital tools and resources. Thoughtfully and purposefully engage in dialog about history on the public web with a range of stakeholders in digital history: historians, archivists, museum professionals, educators, and amateurs, etc. Discover, evaluate, and implement digital tools and digital sources to support emerging and proven forms of historical scholarship, public projects, and teaching. Develop proposals for digital history resources with detailed plans for project management, design, outreach, and evaluation. Understand and articulate the key issues in collecting, preserving and interpreting digital and digitized primary sources from the perspective of a historian. This semester was a really difficult one for me, for personal reasons, but I was pleasantly surprised that when I sat down to reflect on my experience with my organization and my takeaways from this semester that they were all overwhelmingly positive. CoCA, my partner organization, is actually in a better place digital preservation-wise than they thought or I originally assumed, in part because though there are no regular paid archival staff, their volunteers and interns are dedicated and very knowledgeable. Unlike some of my classmates, digipres terminology isn’t completely foreign to my org contact, so I didn’t have to worry about the vocabulary issue to nearly the same extent. As I was thinking over how difficult (or impossible) some of my medium- and high-resource suggestions were in my next steps plan, I realized that some orgs don’t ever need to be more than a NDSA level 2 or so, and that’s perfectly OK – “good enough” stewardship is still preserving and making available things that wouldn’t otherwise be available. Furthermore, documentation is more important than IT savvy in a lot of cases, maybe every org should have an exit strategy/option of last resort; and museum thinking about digital objects is different than other archival contexts – are artifacts separate from digital collections? Are archives museum collection content? The lines are more blurred in some cases. As a sidenote, part of the reason that CoCA was of interest to me is because I come from a museum background – that’s how I ended up in archives to begin with, after some work experience in museum education, museum libraries, museum registrars offices, and various historical society and house museum roles. The biggest challenge for my org and for my preservation advice is the staffing issue – in an ideal world, CoCA would hire at least one permanent, funded archivist, but maybe it’s ok for an org to just be what it is? There’s definitely issues of labor within community based organization to dig further into, but staying small and volunteer-run is for some organizations the goal. This plan document digital preservations challenges and plans for the Center on Contemporary Art’s Archives Project. Since the Archives Project was founded in 2013, the team of archival consultants and volunteers have taken great strides in organizing the physical archival holdings of CoCA, and digitizing a portion of those holdings. To document the need for digital preservation at CoCA. Define the scope of digital collections at CoCA. Outline some of the principles behind preservation actions. Make priority recommendations for digital preservation actions CoCA can take in the near future, as well as for the long-term. Establish a regular schedule of review for this policy. This policy plan has been crafted in December 2018 by digital preservation consultant Caitlin Christian-Lamb, with assistance from Anna H. and Staci C.
The CoCA Archives Project was founded in 2013 by Anna H., who served as the project lead until 2018 and now serves in a volunteer advisory role. CoCA’s digital archives are the public-facing, digital side of the total archives project. Digital preservation is a key part of fulfilling CoCA’s mission of serving as a space and an organization that fosters contemporary art, and the digitized archival material that documents exhibitions particularly aids in this mission. Create or receive: As digital content is created, administrative, descriptive, structural and technical metadata about the objects should be captured or created. Rights information should be noted, as applicable. Appraisal or selection: Selecting objects for digitization, or born-digital objects for capture, will be done by archival consultants, volunteers, and interns. Ingest: Ingesting digital objects into the cataloging software (LibraryThing’s TinyCat system) will follow the pattern set by existing digital objects by hand-keying Getty Art & Architecture Thesaurus (AAT) terms (TinyCat automatically creates MARC records for each object). Transform or migrate: As technology advances, some formats, software, hardware will change, become incompatible, or obsolete. In order to ensure long-term access to digital objects, CoCA archives consultants, volunteers, and interns will need evaluate when objects in their collection need to be migrated to new formats and check that programs and external hardware can still be read by machines in use at the CoCA. Access, use, and reuse: The primary reason for preservation is for future use, and with this in mind, CoCA staff need to ensure that digital objects in their remit are discoverable. The TinyCat catalog that is currently in use, as well as the archives collection finding aid, and pointers on the Archives Project website serve this purpose. Reappraisal and disposal: Digital objects in CoCA collections should be periodically reappraised to make sure the organization’s limited resources are in line with the existing Materials Donation Policy. Physical holdings of CoCA’s archives are comprised of records and images documenting the over 200 major exhibitions held at the gallery, as well documents related to the internal organization of CoCA (founding documents, bylaws etc. ), 40-60 bankers boxes, 4000 slides, 125 posters, and approximately 500 articles and reviews. In late 2018, digital collections comprise roughly 300 items, organized into 31 online exhibitions. CoCA’s VHS collection was recently digitized; there have been three separate digitization projects, resulting in 80% of the poster holdings, 100% of video holdings, and a small portion of newsletter holdings being digitized. CoCA’s digital archival holdings are currently all digitized surrogates of analog material held in CoCA’s archives. Collecting born-digital objects will need to follow in the near future, as planning and documentation of exhibitions (as well as potential works of art) are being generated digitally first. Internal administrative files are similarly born-digital, and examination of which of these will be selected for inclusion in the archives will need to be a priority. Formats in the digital collections currently include: PDF, DOC, PPT, CSV, TIFF, JPEG, PNG, GIF, MPEG, MOV, and MP3. CoCA’s Archives Project will continue to accept commonly used file formats. As CoCA is a small non-profit and the Archives Project does not have a regular budget, staff will focus on free or very low-cost subscription software and storage solutions. This needs to be balanced with reasonable-to-support-ness, as IT assistance is also extremely limited. CoCA’s use of TinyCat is one example of appropriate cost and ease-of-use; tools such as AVP’s Fixity is another. While storage of digital objects is split between a local server maintained by the past board president, local computers, Google Drive, and external media, all digitized objects have copies stored on Google Drive and a hard drive backup. However, there are some floppy disks and other external media that may contain content that has not been transferred to computer/drive/HD backups as of late December 2018. CoCA’s archives team will seek to identify external media that has not yet been looked at or digitized, and for the formats that can be read by CoCA owned machines, download content and add to stable, centralized storage. A list of any external media types that CoCA does not have a drive for will be generated, with an eye towards exploring how these can be read and converted at a later date. Fixity refers to the concept of checking that a file has not changed over time. Establishing data integrity will be an important step for CoCA to ensure that their digital files are unchanged. One of CoCA’s Archives Project’s advantages is that their archival consultant are very knowledgeable, and interns also come from the University of Washington’s iSchool. While time and money are challenges for CoCA, the archivist volunteers and interns are creative and often have knowledge of digital preservation. Archives consultants, volunteers, and interns will seek to create an internal document or spreadsheet that lists a file inventory, current location, and file size. A first step towards fixity will include check file sizes by folder every few months or when moving location or storage system to monitor for any changes. Access to files is not restricted at this point, and IT assistance is sometimes provided by friends or partners of volunteers and interns, which could lead to security concerns or accidental modification or deletion of files. CoCA staff will determine who should have access to storage and software of digital collections, and restrict Google Drive, TinyCat, and Weebly logins to that list; however, given the nature of small arts organizations, IT assistance will still be sought were it can be found. CoCA’s Archives Project has a detailed finding aid that covers the full archives collection of the organization, including exhibition-related materials and organizational files. Digitized materials, available through TinyCat, have well-formed MARC records and organized by related exhibition as well as through keyword search. Future steps to improve metadata for digital objects will include adding information on which materials have been digitized (including file formats, when appropriate) to the finding aid for the archival collections, to aid in identifying existing digital materials, their place within the larger collection, and what materials will be prioritized for upcoming digitization projects. Since CoCA’s digital archival holdings are primarily digitized from physical holdings, archival consultants and interns have been able to control file formats. An rough inventory of all file formats currently in the collections already exists. New incoming material documenting exhibitions is likely to be born-digital (photographs, documents), so establishing standardized list of acceptable formats is likely to be helpful on this front. CoCA has one full-time, salaried employee, the Executive and Artistic Director, Nicole DeMent. The organization also has a working board of directors, comprised of seven individuals, who aid in aspects of daily work in addition to fiscal and governance responsibilities. CoCA also has a dedicated team of volunteers. CoCA’s Archives Project was conceived by and operated by volunteers and interns, some of whom received stipends through grant funding that has now ended. Consulting archivists and interns, both unpaid, are responsible for the stewardship of digital archival collections. In the future, ways of securing more sustainable stewardship, such as additional grant funding to again pay stipends, should be prioritized in order to ensure that archives consultants, volunteers, and interns are able to dedicate sufficient time to preservation activities. Stakeholders for digital preservation at CoCA include all of the roles listed above: archives consultants, volunteers, and interns; the Executive and Artistic Director; the board of directors; and the other interns and volunteers working in other units of the organization. Audiences for digital archival materials include: all stakeholders; artists whose work has been exhibited at CoCA; Seattle and the broader Pacific Northwest community; those interested in the local arts scene of Seattle; and contemporary artists and scholars of contemporary art. CoCA’s Archives Project faces many challenges in attempting to preserve and share the history of this small arts organization. To begin with, regular staffing of the archives has been inconsistent – the establishment and maintenances of the Archives Project was driven by consultants, volunteers, and interns who are not regular employees of CoCA. This staffing model does not lend itself to sustainability, so CoCA’s board of directors may want to consider what the exit policy for the archival material would be, should a day come when CoCA cannot store or maintain these materials. One viable option is to form a partnership with area institutions like the University of Washington or Seattle Public Library, in order to provide a repository-of-last-resort relationship should CoCA no longer be able to steward their own archives. The nature of small non-profit arts organization does not lend itself well to longevity of digital materials that need periodic maintenance, and the lack of permanent archival staff and the nature of the archives’ physical storage space also provides a challenge. However, despite lack of regular funding lines, permanent staff, and a less-than-ideal workspace, CoCA’s Archives Project team have made significant steps in organizing and making available the unique content they steward. Solutions can be found, and grant funding can again be sought to provide some stability. This plan will be revisited and updated or reaffirmed every three years. The next review date will be December 2021. To paraphrase Dr. Owens, digital objects are not preserved, they are being preserved. This came from one of the chapters assigned at the beginning of the class, but it has stuck in my mind ever since because it’s such a pithy way to sum up one of the most important ideas in digital preservation. There is no “one and done” method of preserving digital objects, but rather it’s an iterative process in which we need to always stay vigilant. This means following established procedures, updating inventories, checking file fixity, monitoring obsolescence, ensuring that files are backed up, and other related tasks. It also reminds me of an episode of The Keepers podcast that interviewed the Internet Archive’s Jason Scott. The interviewer asked him something like “How do you know that the file formats you are choosing are going still be around and be accessible?” and he said (paraphrasing), “We don’t, and that’s kind of the point.” In other words, an important part of digital preservation will be monitoring evolving technologies and trying to keep up. A third takeaway from this class is that digital preservation can take multiple forms. I did not expect to start this class with philosophical discussions of what it means to say that something is the “same” as something else, but it is really important to understand what you want to preserve and why before taking any actions. 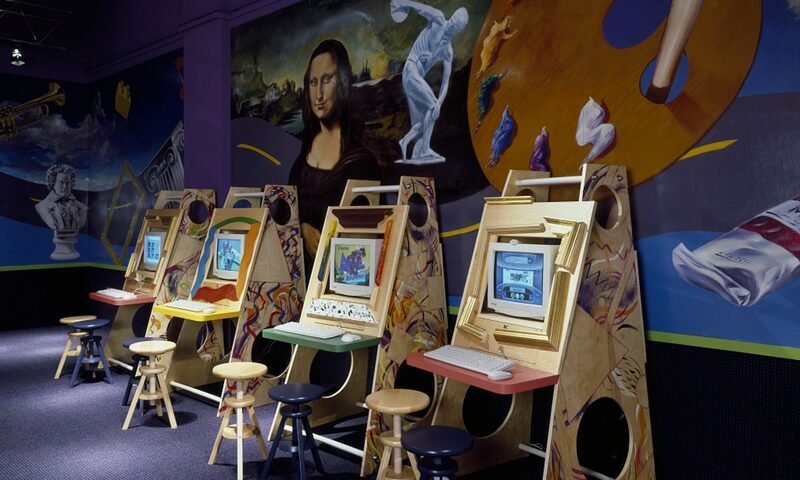 I was intrigued by parallels to the art world, where conservators have to make decisions based on the artist’s intent, and I enjoyed learning about all the possibilities of simulations, like the recreation of old video games or Salman Rushdie’s laptop. As the College Park Aviation Museum (CPAM) seeks to expand its collections and facilitate greater access to its historic materials, a growing portion of its holdings will be either born-digital or digitized material. This document was created to establish guidelines on how to manage and organize these materials and to protect them against the risks of loss or technological obsolescence. In following these guidelines, the museum will be actively working to ensure that its digital collections continue to be available for future generations. This policy covers both born-digital and digitized material. Born-digital refers to material originally created in digital form, such as photos uploaded from a digital camera or text files created using Microsoft Word. Digitized materials refer to any material that has been converted to a digital format, such as scanned photographs or documents. While many of the museum’s digital files are on the common drive, this policy also encompass material currently stored in other formats such as USB-drives, floppy disks, CDs, and DVD+Rs. Although certain media items like VHS and cassette tapes are not typically put into the same category as digital files, these are “endangered” formats that are obsolete and have limited lifespans, so the best way to ensure ease of access and continued preservation is to convert them to digital files. With the expectation that their conversion will be a priority they should be considered to be within the scope of this policy whenever applicable. This policy draws from the National Digital Stewardship Alliance (NDSA)’s Levels of Digital Preservation. The NDSA Levels were chosen as a basis for recommendations because it provides succinct, clearly-articulated standards and encourages an incremental, scalable approach to digital preservation. It recognizes the need to provide realistic options to institutions with limited time and resources, which is the goal of this policy as well. CPAM will consult with their parent organization, the Maryland-National Capital Parks and Planning Commission (MNCPPC)’s Office of the Chief Information Officer (OCIO) to determine what measures are already in place to back up the contents of their common drive and how often these back-ups are performed. CPAM will ensure that there are at least two complete copies of the contents of the common drive and that these copies are not located in the same place. CPAM will make it a priority to get the images, videos, textual files, and other data that now exists in various media formats onto its common drive, which will simplify its care and management. It will phase out the use of formats like CDs, floppy disks, DVD+Rs, and USB-drives as storage, because those formats have a limited lifespan and are prone to damage or loss. If CPAM runs out of storage space on its common drive and MNCPPC is unable to provide additional resources, CPAM will continue to use the common drive for administrative files and will use a secondary cloud storage system like Dropbox for media files like photographs, videos, and scans. CPAM will continue to pursue a partnership with Digital Maryland (DM), which will enable them to continue to expand their digital holdings while also making them more accessible to the public. The files hosted by DM can serve as additional copies for preservation purpose, but CPAM will also keep two copies of all digitized files in its own storage systems. CPAM will use a tool like AVP’s Fixity to perform data integrity checks on all its digital files at least once annually, and will also aim to perform checks after large ingests or transfers of files. If the checks indicate that files are missing, unintentionally altered, or corrupted, the files will be restored using one of the museum’s back-up copies. CPAM will identify who has the ability to read, write, move, and delete files and restrict those authorizations when appropriate. Restrictions will be recommended for all historic collections, although there may be a desire for more flexibility with administrative files. These restrictions will be documented on a spreadsheet and periodically reviewed so that changes can be made if necessary. CPAM will create a mastery inventory of CPAM’s digital files that are deemed worthy of preservation, including those on the common drive and on various other formats such as DVD+Rs, CDs, floppy disks, or USB-drives. CPAM will also inventory all media formats such as VHS tapes or cassettes which are either obsolete or in danger of obsolescence, so that these materials can be prioritized for digitization. This can take the form of a single spreadsheet or multiple spreadsheets that are organized within one folder. CPAM will agree on naming conventions for all born-digital and digitized files that will be added to its collection in the future. If time and resources allow, it will also standardize its legacy holdings. CPAM will encourage the use of preferred file formats for the creation of new digital materials. Preferred formats are ones that are commonly used, widely accessible, and open-sourced. A guideline for determining what digital preservationists consider to be a preferred formats is the Smithsonian Institution Archives (SIA)’s Recommended Preservation Formats for Electronic Records. For text documents, spreadsheets, and presentations that are in their final form (and will not be edited), the preferred formats are PDF or PDF/A. For images, the preferred format is TIFF (uncompressed), for audio it is BMF-Broadcast WAV (.wav extension), and for video it is Motion JPEG 2000, MOV, or AVI. For a more complete listing of both preferred formats and acceptable formats, CPAM employees are encouraged to consult the table in the SIA guidelines. CPAM will create a list of file formats in its collection and monitor each for obsolescence issues. Converting files to the preferred formats is only recommended for files in formats that are not considered acceptable by SIA. Digital preservation is not something that is done once and then forgotten about, but rather it is an on-going, iterative process. In recognition of this fact, the digital preservation policy should be reviewed annually by staff members of the CPAM and revised when necessary. The museum should anticipate that evolving technology and standards may create the need to amend the policy. It may also need to be adapted in response to changes in the museum’s goals or priorities.